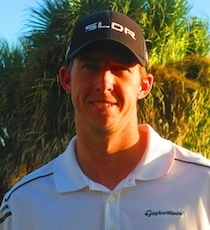 JUPITER, Fla. – Brant Peaper of nearby Tequesta, FL scored his fifth victory on the Minor League Golf Tour with a seven under par 64 Thursday at Jupiter Country Club. The son of Brian Peaper, Head Professional at the Lost Tree Club in North Palm Beach, Brant made seven birdies in a bogey free round to win by a stroke and collect $1,000 from the $6,600 purse and another $228 from an optional bonus pool. This raised his career earnings to $44,906 since October, 2014. Peaper’s birdies were at Nos. 3, 5, 7, 9, 11, 16 and 17. Chris Wiatr of Woodbury, CT, was second at 65 among 50 starters. He made eight birdies and two bogeys. Wiatr won the MLGT’s Tour Championship last December at Abaoca Golf Club, his only victory in just over three years on the Stuart-based mini-tour. He pocketed $884 Thursday. Monday Qualifier Contest #2 starts Monday at Parkland Country Club. The contest consists of three 1-day events and does not have an entry fee. 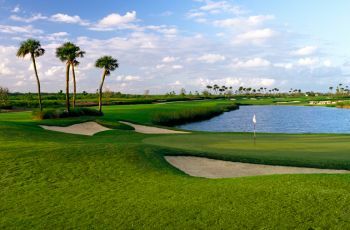 The player with the lowest total score from the three 1-day events next week at Parkland CC (3/25), Abacoa GC (3/26) and Foutnains CC (3/28) will win a $1,000 bonus to go compete in a Monday Qualifier!